Total workshop fee is $450. Cancellation Policy: Cancellation fee $50. Must receive cancellation by email no later than April 15, 2019. Absolutely NO refunds after April 15, 2019. WHEN WORKSHOP FILLS (15 MAX) REGISTRATION WILL AUTOMATICALLY REVERT TO A WAIT LIST. PLEASE REGISTER FOR THE WAIT LIST - THERE IS ALWAYS A CHANCE FOR CANCELLATIONS. 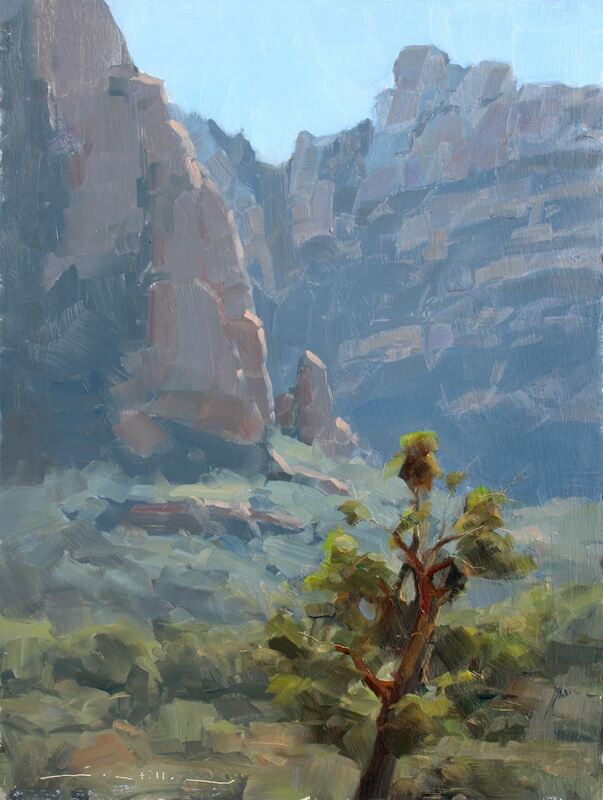 Plein Air Southwest Salon 2019, is excited that the awards juror, DAVE SANTILLANES of Ft. Collins, Colorado, .... will conduct a OPS sponsored workshop May 14, 15, 16, 2019 in Grapevine, Texas! The format is a 3-day "Plein Air to Studio" which will include indoor classroom study as well as outdoor on location in "downtown" historic Grapevine, near the train station & grain silos. Grapevine is a suburb northwest of Dallas. Easy 10 minutes from DFW airport. The total fee is $450.00. Refunds: $50 cancellation fee if cancelled before April 15, 2019. No refunds after April 15, 2019. Open to intermediate and advanced artists. As my painting style continues to evolve, my goal with each piece is not a literal rendering of the scene. Instead, it is to capture and convey it's essence. In terms of composition, I look for simplicity. I've found that there are many opportunities to simplify a scene without compromising its sense of "place". Therefore, I'll seek out the big abstract shapes in the landscape and use them for the underlying design concept. Because I've departed from a literal interpretation, I'm free to rearrange elements to fit this concept. In this way, I am able to describe the scene in my own "words". 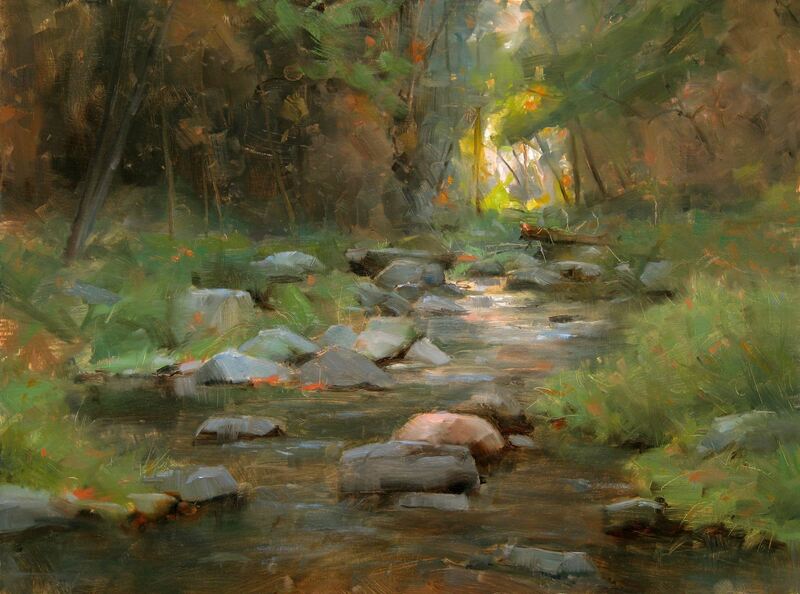 Finally, capturing the essence of a landscape involves a realistic rendering of color, light and atmosphere. 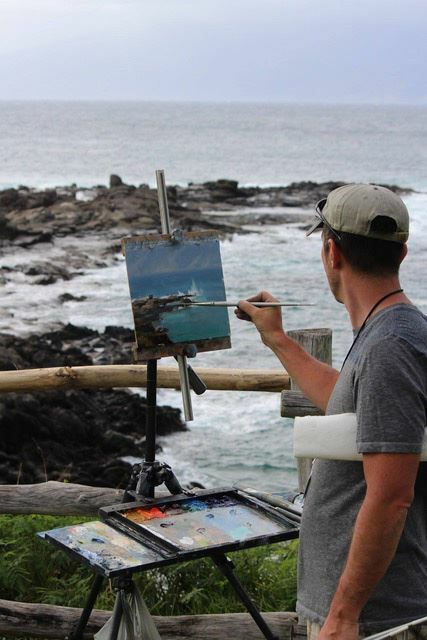 This requires direct observation and is why most of my paintings begin in the field with a plein air study. 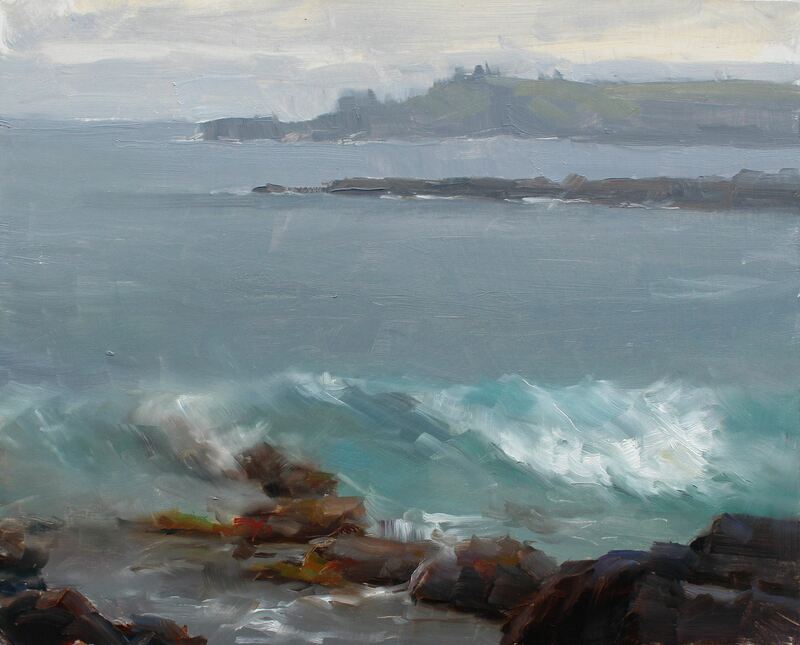 But studying the physical aspects of nature isn't the only reason I paint outdoors; for me, the sensory experience of begin there is equally important. There's no better way to get to know a place on earth than to sit for a couple of hours and contemplate it while painting. 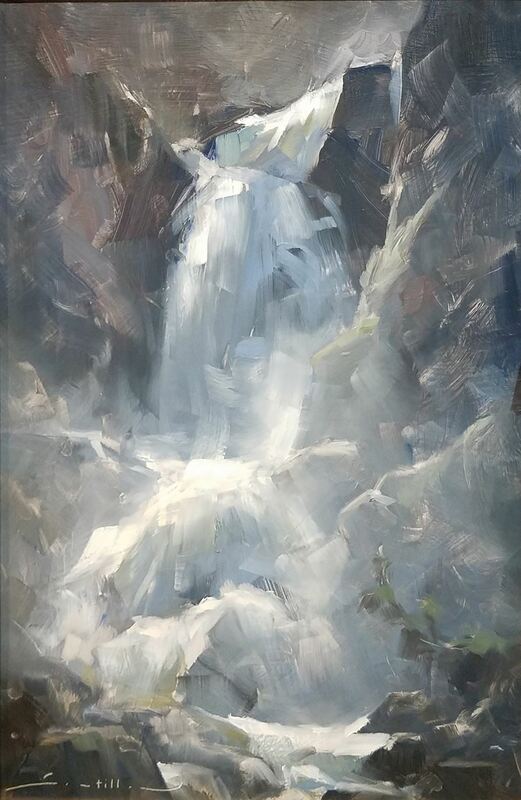 This intense observation brings a spiritual intimacy with the scene that can't be achieved in mere passing and allows me to "speak" with complete sincerity in each painting.